The Christian History blog sets right some popular myths about Galileo’s life and work to commemorate the “400th Anniversary of Galileo’s First Telescope.” Points 3 through 6 deal with his relationship to the church. 3. . . . when he did look into space and published his findings that the earth really wasn’t the center of the universe, it caused outrage throughout Christendom. In Sightings, Karl E. Johnson recently summarized some of the other facts that get in the way of the science vs. faith narrative. Galileo’s Dialogue Concerning the Two Chief World Systems, the source of controversy, previously had been read and approved by the Church’s censors; and Pope Urban VIII, who presided over the trial, was Galileo’s friend and admirer. Consider also: prior to the trial, Galileo stayed in the Tuscan embassy; during the trial, he was put up in a six-room apartment, complete with servant; following the trial, his “house arrest” consisted of being entertained at the palaces of the grand duke of Tuscany and the Archbishop of Siena. 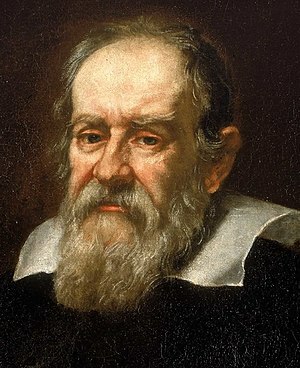 Galileo, apparently, was no ordinary heretic. 4. Friendly or not, the Roman Catholic Church thought Galileo’s science contradicted Scripture and therefore could not be true! That’s why Cardinal Bellarmine ordered Galileo to back away from Copernican theory. In the learned books of worldly authors are contained some propositions about nature which are truly demonstrated, and others which are simply taught; in regard to the former, the task of wise theologians is to show that they are not contrary to Holy Scripture; as for the latter (which are taught but not demonstrated with necessity), if they contain anything contrary to the Holy Writ, then they must be considered indubitably false and must be demonstrated such by every possible means. If there were a true demonstration that the sun is at the centre of the world and the earth in the third heaven, and that the sun does not circle the earth but the earth circles the sun, then one would have to proceed with great care in explaining the Scriptures that appear contrary, and say rather that we do not understand them than that what is demonstrated is false. But this is not a thing to be done in haste, and as for myself I shall not believe that there are such proofs until they are shown to me.